About SEED DC — The SEED School of Washington, D.C. The SEED Public Charter School of Washington, D.C. (SEED DC) is the nation’s first college-preparatory, public boarding school. Our mission is to provide an outstanding, intensive educational program that prepares children, both academically and socially, for success in college and beyond. The SEED Public Charter School of Washington, D.C. (SEED DC) opened in 1998 and currently serves 370 students in grades six through twelve. Students spend 120 hours per week on campus from Sunday through Friday. We offer a rigorous college preparatory curriculum which incorporates the appropriate mix of content areas, deep development of writing and critical thinking skills so that students are prepared for college level coursework. 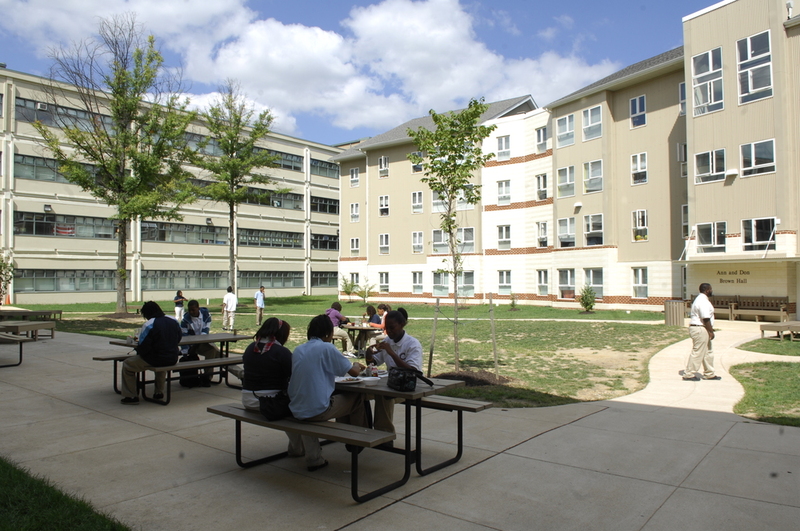 As a boarding school, SEED DC has a unique opportunity to foster learning opportunities after school and in the evenings through the Student Life Program which provides academic support to students through structured study halls and homework centers; extracurricular activities such as dance, chess, robotics, theater and athletics; and life skills instruction through the HALLS (Habits for Achieving Life-Long Success) curriculum. We also offer a wide range of external opportunities such as international trips, internships and community service learning projects so that our students feel greater satisfaction and are better positioned for success in college. SEED DC was the very first school established by The SEED Foundation, and our model has been replicated in Maryland and Miami. More than 80 percent of SEED graduates are first-generation college students. Learn more about SEED DC's fascinating history through this brochure. Get to know us better through the SEED Network's 2017 Annual Report.